The importance of higher education has never been clearer. Educational attainment—the number of years a person spends in school—strongly predicts adult earnings, as well as health and civic engagement. Yet relative to other developed nations, educational attainment in the United States is lagging, with young Americans who heretofore led the world in completing postsecondary degrees now falling behind their global peers. 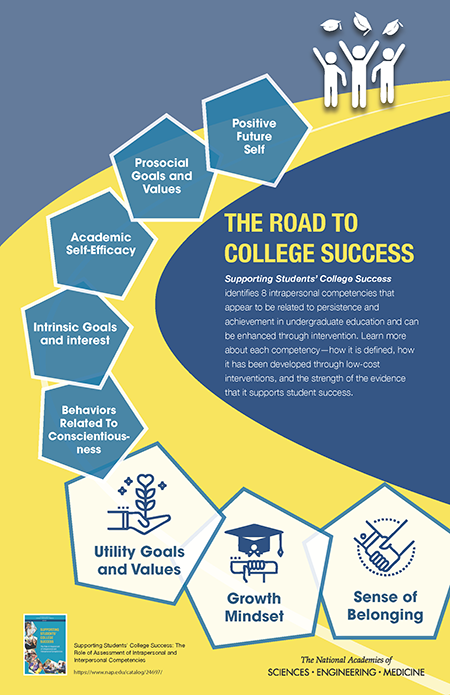 As part of a broader national college completion agenda aimed at increasing college graduation rates, higher education researchers and policy makers are exploring the role of intrapersonal and interpersonal competencies in supporting student success. Intrapersonal competencies involve self-management and the ability to regulate one’s behavior and emotion to reach goals, while interpersonal competencies involve expressing information to others as well as interpreting others’ messages and responding appropriately. Supporting Students’ College Success: The Role of Assessment of Intrapersonal and Interpersonal Competencies examines how to assess interpersonal and intrapersonal competencies (e.g., teamwork, communication skills, academic mindset, and grit) of undergraduate students for different purposes. This report establishes priorities for the development and use of assessments related to the identified intrapersonal and interpersonal competencies that influence higher education success, especially in STEM. 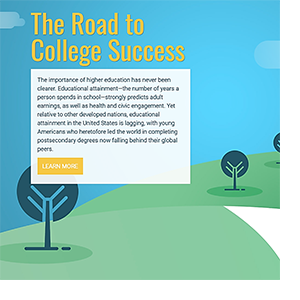 This video, based on the report, introduces three competencies students should have that help reduce drop-out rates and support students’ persistence and success at college. Members of the authoring committee and other invited speakers discussed the report's conclusions, its recommendations for research and assessment development, and its implications for higher education policy and practice. This summit was sponsored by the William and Flora Hewlett Foundation. Presentation at the Association of American Colleges & Universities Annual Meeting. 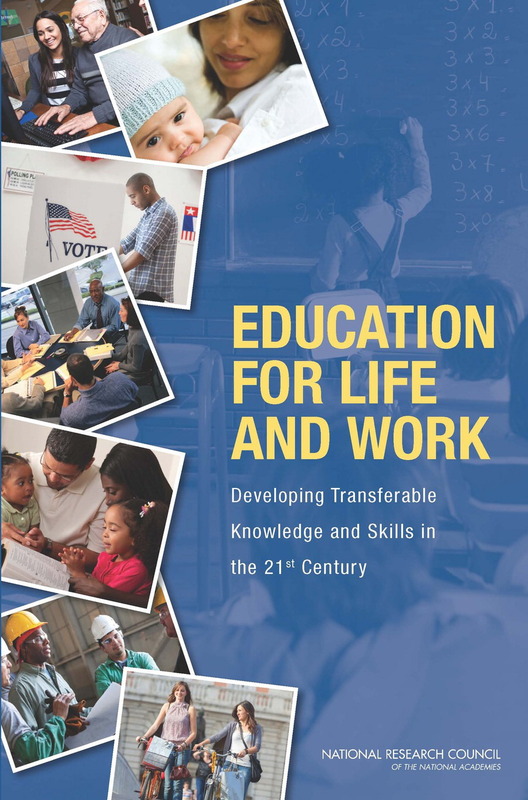 Education for Life and Work: Transferable Knowledge and Skills in the 21st Century (2012). Business and political leaders are increasingly asking schools to integrate development of skills such as problem solving, critical thinking, and collaboration into the teaching and learning of academic subjects. Collectively these skills are often referred to as "21st century skills" or "deeper learning." 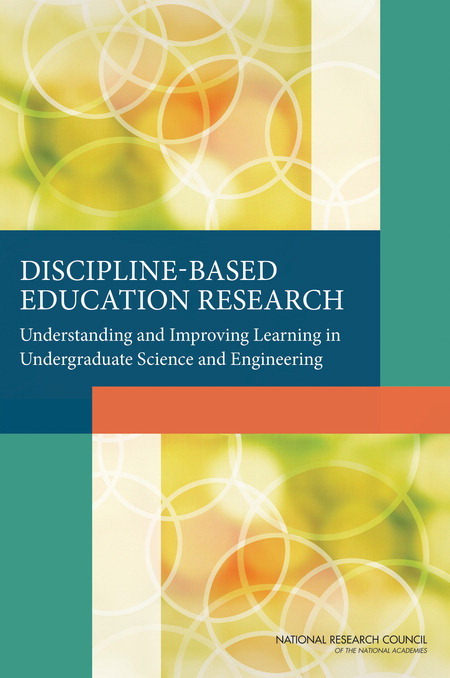 Discipline-Based Education Research: Understanding and Improving Learning in Undergraduate Science and Engineering(2012), examines the emerging field and future direction of discipline-based education research (DBER) in physics, biological sciences, geosciences, and chemistry and how it could improve the teaching of these disciplines. DBER combines knowledge of teaching and learning with deep knowledge of discipline-specific science content. It describes the discipline-specific difficulties learners face and the specialized intellectual and instructional resources that can facilitate student understanding. Assessing 21st Century Skills: Summary of a Workshop (2011). Research on Future Skill Demands: A Workshop Summary (2008). Over the past five years, business and education groups have issued a series of reports indicating that the skill demands of work are rising, due to rapid technological change and increasing global competition. Researchers have begun to study changing workplace skill demands. Some economists have found that technological change is "skill-biased," increasing demand for highly skilled workers and contributing to the growing gap in wages between college-educated workers and those with less education.